A couple weeks ago, I was on my way to our denominational Prayer Summit in Los Angeles. I started out early Monday morning as I made my way up to Grand Rapids for my 8:30 am flight. As I drove to the east at about 7 am, the clouds were far enough above the horizon to allow the sun to show its beauty as it rose. The horizon was filled with its orange and red brilliance. It was awe-inspiring. As I turned north, with the sunrise to the east, I looked to the west and was surprised to witness a double rainbow. This beautiful scene turned me to consider once again the power and goodness of our God. It served as a powerful opening to my trip and it would come back to mind later as I read Ezekiel 1.25-28. In this text, Ezekiel describes an encounter with God’s glory that in certain ways was similar to what I saw Monday morning, including an image of brilliant fire and the glory of a rainbow. Needless to say, I sensed God’s presence in a powerful way as I traveled to the Prayer Summit. In prayer, we are drawn into fellowship with the God who has done mighty things to save us and assure us an eternal future. As we reflect on God’s nature, his love, his grace, and his promises, we come in prayer to give thanks. As I observed the beautiful scene before me that Monday morning, I was drawn to prayerful praise. After some hours, I finally made it into LA and checked into my hotel. I had a few hours before the conference started, so I relaxed a bit and decided to turn on the TV. What I saw was carnage. Almost every station was covering the Boston bombing that had taken place earlier that day while I was in flight. For a while I was glued to the television. In events like these, our hearts are turned toward the suffering. Our hearts long for relief and healing. Our hearts long for justice. Our hearts long for all this ugliness to just be done. As I reflect on it now, it was quite a contrast—my morning sunrise scene and the gruesome scene in Boston. But as I think of it all, this contrast isn’t unique. It is there every day. Perhaps it is not always as obvious of a contrast, but it is there. It is in this stark contrast, this tension, that the Christian lives and finds the need to pray. On the one hand, we come in prayer for the amazing grace of God to save us and to promise us the coming kingdom in all its beauty. On the other hand, we come in prayer for the awful reality of sin that still plagues our world, our communities, and our bodies. We pray to give thanks and we pray to cry out for help in our time of need. If we are honest and engaged with the world, with our bodies, and with those around us, this stark contrast is constantly present. We live in tension—in praise for God’s eternal gift through Christ and in crying out as sin ravages our world, our communities, and our bodies. 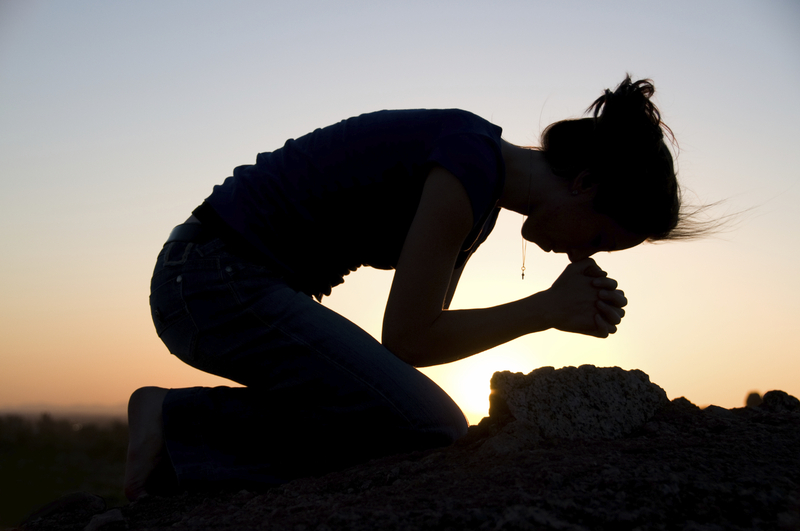 If we are to live powerfully in this tension, it is prayer that will give us this power. Prayer fills this tension with the comfort and the power of the Holy Spirit to steer us to true hope.